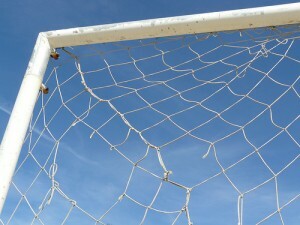 Home » NLP School blog » NLP Goal Setting Theory: How Can You Improve Your Goals? Every motivational speaker will tell you reaching the next level is about setting goals and achieving them. The bigger and more audacious the goal, the better! So go on, get achieving! Now! The trouble is, things don’t always work out that way. or you wake up one morning and realize you didn’t want that goal at all, but something totally different, or… after a while, this whole goal business starts sounding tinny and simplistic. Goals are important in NLP. But NLP also understands that achieving them isn’t always a simple matter of willpower. If you wanted something really badly, you’d have it already. Something is blocking you. What is it and why is it doing this? NLP takes a more optimistic approach, thanks to the concept of positive intention. This essentially states that your unconscious is on your side. Sadly, the unconscious is not very good at communicating, so can often appear to be negative (and, at times, even destructive). But underneath all the misunderstanding, it is looking out for you. If I’m coaching someone who tells me they are trying to achieve a goal but not achieving it, I ask them a simple question: “What’s stopping you?” People often look puzzled when I ask this, or say they don’t know, or “I suppose ‘I’ am, but I don’t know why”. I would probably introduce the concept of positive intention at that time, and suggest that their unconscious mind is stopping them – in a positive way. I’d ask questions like ‘What are the benefits of your current life that would disappear if the goal were achieved?’ and ‘What benefits would disappear the moment you started taking the goal seriously?’ If these benefits are important to you, you are not going to achieve the goal: your unconscious will fight back. It’s also worth examining if the goal is really one that you want, or is it one that you think you ought to want or that someone else wants you to want. To say this is not to advocate total selfishness: you can aim for a goal on behalf of someone else, but it will still only work if you truly want it to (a classic example is of parents giving up smoking when they have children). In NLP we talk of congruence, which means wholeheartedness, conviction. Does it feel right in your head, heart and gut? NLP developer Robert Dilts suggests the following technique. Give your desire for your goal a mark out of five. If it’s not five, then use the material above to investigate why. If it is five, do the following. Put your hand on your head, and see if that feels right. Then put your hand over your heart, and ask the same. Then put your hand on your gut, your abdomen, and ask again. If all these feel right, then five it really is. Go for it! If not, then put your hand back where the ‘five’ failed to register and ask yourself why. It is a core principle of NLP that wisdom resides not just in the brain but around the body: try this and see. The results may not be what you want to hear, but they are probably what you need.